A customer is an integral part of any business, and developing a long-term relationship is paramount for any business. The sustainability of a business, through its highs and lows, is deeply impacted by its ability to maintain a healthy relationship with the customers. This has resulted in many businesses developing an exceptional customer relationship strategy. Given the rise in customer expectations, and because every product, service or expertise is hive-minded or reviewed, the room for error that existed before the digital revolution no longer exists. Instant vilification and instant gratification has changed the way businesses are looking at customer experience. In the current competitive market space, the relationship you have with your customer will serve as a key differentiator with your competitors. In a scenario of similar product offerings, a company that offers greater customer experience ensures better satisfaction and holds a competitive edge. Strong relationships increase the possibility of repeat business. Retaining a customer is more affordable than acquiring a new customer, due to investments surrounding business development being very expensive including - generating lead costs and making a sale. Acquisition budgets can be kept in check if a healthy relationship is maintained with the customer and made to count in the long run. Healthy relationships increase our visibility with customers. Deep diving into a customer ensures exposure to both sides and improves the ways in which they can relate to your company. We, at CGN, thrive on building and optimizing customer experiences to maintain customer relationships and attract new customers. The biggest barrier to this is a lack of a deep understanding of the customer and the associated market. Gaining a deeper understanding of the customer is not easy and requires investment, time, dedication, and well-defined strategies. We believe in working towards a comprehensive understanding of our customers and knowing them better than they do, to initiate and maintain a healthy customer relationship. CGN has a proven methodology to leverage competitive and market intelligence, as well as pricing and segmentation; to formulate a customer-driven strategy and transform performance through profitable growth. 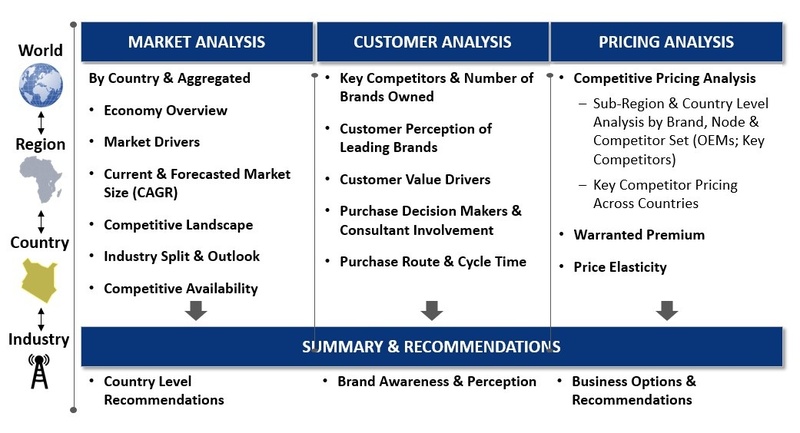 We triangulate, analyze and synthesize information from multiple sources, such as customers, dealers, businesses, competitors, subject matter experts, existing historical data, and market research to develop an iterative segmentation hypothesis. Further, CGN will develop strategies and support the execution of developed plans to drive bottom-line benefits for your business. CGN’s Segmentation Service is uniquely positioned to recognize and address shifts in customer expectations, market, and competition. It can help transform organizations worldwide to improve performance, profitability, and global competitiveness. We use our diverse experience, and broad knowledge to provide strategic insights, actionable recommendations, and focused execution to drive results.